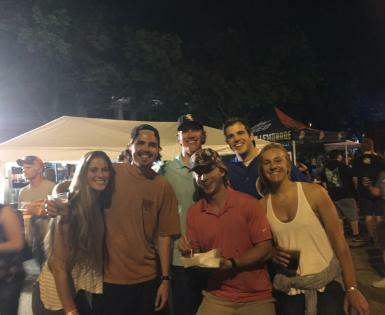 What is better than listening to live music with your friends and family in the town you love? When it comes to music, I am a fanatic. I absolutely love discovering new music and more importantly I enjoy sharing my findings with everyone else. Just recently, I joined my brothers and their friends at the District for their Block Party event. The event hosted a band called Here Come the Mummies, which I was clueless about. I was a little unsure about the band due to them being unfamiliar, but after hearing them perform live I instantly became a fan. That night will always be a great memory for me and it will be known as the night where I fell in love with the Mummies. 1) You have the capability of discovering new music and aspiring artists. 2) It gives you the opportunity to experience an artist’s passion. 3) It forces you to get up out of your house and socialize, instead of putting your headphones on. 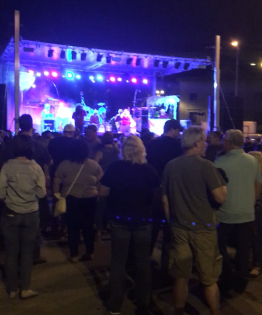 Rockford offers many live music venues throughout the year as well as some pretty cool venues during the summer. You can enjoy local and traveling artists not only on the weekends, but throughout the week. If you love live music as much as I do, I suggest you check out these venues that have become somewhat famous around the Forest City. Trust me, you won’t regret it! The Brewhouse has an amazing atmosphere within itself because of their delicious food, refreshing beverages and beautiful river setting. When you add live music to the mix, it makes their set-up that much better. During the summer months, Dockside Taproom, hosts live music every Monday on the Brewhouse docks from 6 – 9 p.m. Best part, besides the live music of course, is free admission! Yes, I said it, FREE! You can find the music schedule on their website at psbrewingco.com/docksidelive. In addition to taking in live music, you also can order food and drinks during the performance AND you can try the small batch beers the brewery releases on a weekly basis. If you find yourself at the Brewhouse this summer I would definitely recommend indulging in some of their delicious cheese curds! Their cheese curds have to be the best in town. Yes, they are even better than Culver’s. For all of you that didn’t know (including myself), Mary’s Place is the oldest bar in Rockford. That is a unique title to have especially because of Rockford’s size. The bar has many appealing factors such as slot machines, cheap drinks, open stage, karaoke and more importantly they have live bands. Live music takes place every Friday and Saturday night. Occasionally, you can catch a live performance by Miles Nielsen & The Rusted Hearts, Brad M. Carlson a.k.a. Bun E. Carlos (drummer from Cheap Trick) and Taboo Blah Blah. You cannot beat listening to local music with your local friends. Since open stage is every Tuesday and Thursday night, you can take advantage of the stage and release your angelic voice to the audience. 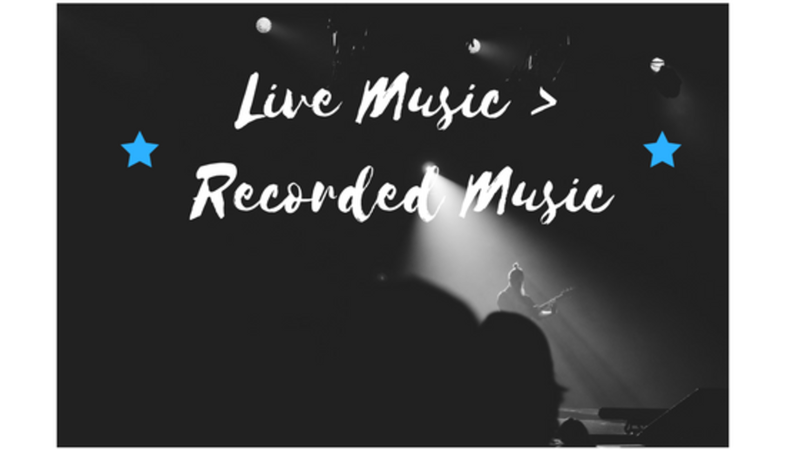 Share your songs with the world and with Rockford! Mary’s Place is relatively small, which allows for your music to be heard and talked about. 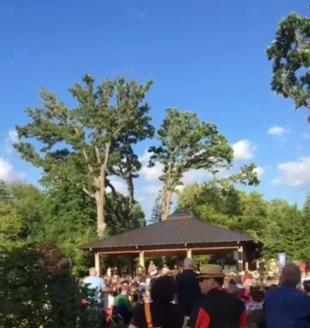 Talk about a breathtaking setting – the environment of the Japanese Gardens is full of amazing energy, extraordinary scenery and relaxing music. Anderson Gardens takes advantage of their environment every Tuesday night and hosts local, regional and national artists. The performances start at 5:45 p.m. but guests can set-up their seating around 5. Arriving relatively early is a great idea if you want to be able to see the stage - the lawn fills up fast. The grass is about as comfy as a mattress, so all you need to bring is a blanket and you are good to go! The admission rates vary for nonmembers. Adults $9.50, seniors (62+) $8.50, students $7.50, children 5 & under free. Nothing compares to the peaceful music echoing throughout the beautiful scenic gardens on a cool summer evening. 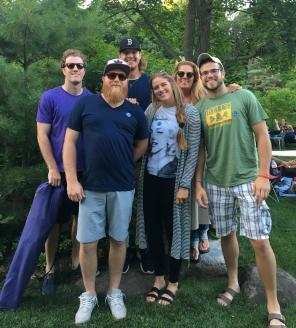 Attending a concert at Anderson Gardens, you have the opportunity to enjoy a fun night with friends and indulge yourself in Woodfire Pizza, DiTullio’s Italian Deli, Zammuto’s, Fresco at the Gardens, Rockford Roasting Company and Nothing Bundt Cakes. If none of those businesses attract your attention, you can bring your own food and set up a picnic on the lawn. If you like being downtown this is the PERFECT place for you. It is surrounded by downtown attractions and a fun crowd. The District hosts multiple events that attract large groups of people. Throughout the summer months they are normally booked with upcoming shows and concerts. If you want to see their schedule visit districtdowntown.com/shows. As I mentioned earlier, I went to my first concert at one of their Block Party events and it was remarkable. I got to witness Here Come the Mummies perform live in actual mummy attire. When they performed up on stage, they grabbed everyone’s attention with their choreographed routine and rare music sound. They made the environment around them inviting and energetic, which made the night memorable. Since I went to college eight hours away from home, every now and then I would get homesick. Whenever I would miss home, I would throw on some Miles or Taboo and instantly be at peace. Music in general is very soothing but when it relates to home, it is even more powerful. I suggest you check out these Miles Nielsen songs: “Honey Bee”, “Heavy Metal” and “Kentucky”. My favorite Taboo Blah Blah’s songs are “Devil’s Son-in-Law” and “Cherry Eyes”. Try to take time out of your morning, afternoon or night to listen to these prodigious rock and folk tracks. I promise you, you will not be disappointed. Having lived in the city of Rockford nearly my whole life, I take pride in all the local musicians. I must give credit to my brother Connor because he introduced me to Miles Nielsen & The Rusted Hearts and Taboo Blah Blah. Both of us appreciate and respect music, especially when it relates to the city that we are both extremely passionate about.